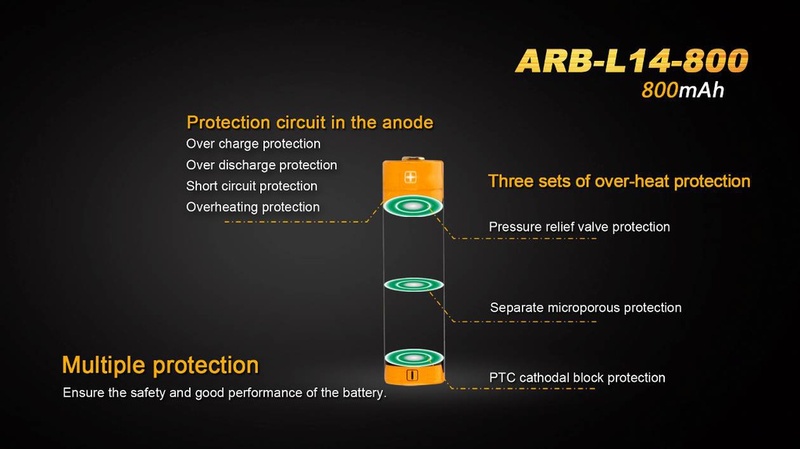 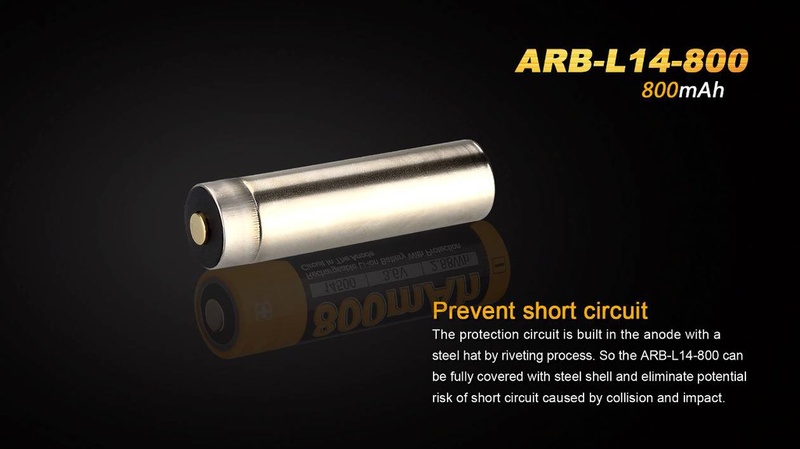 The protection circuit is built in the anode with a steel hat by riveting process. 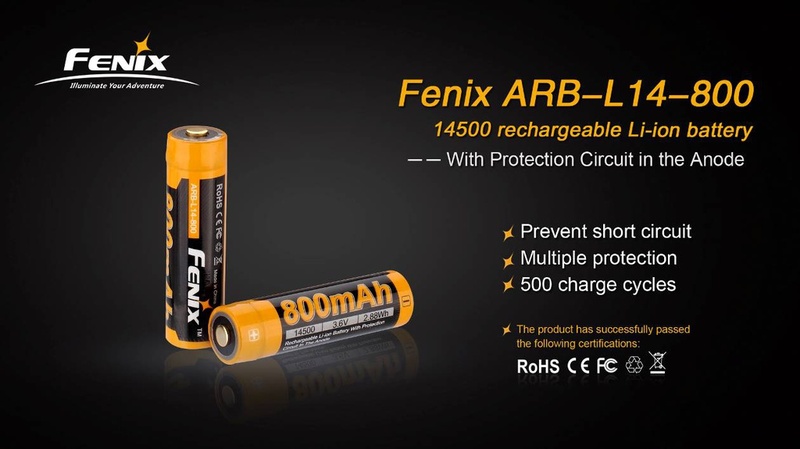 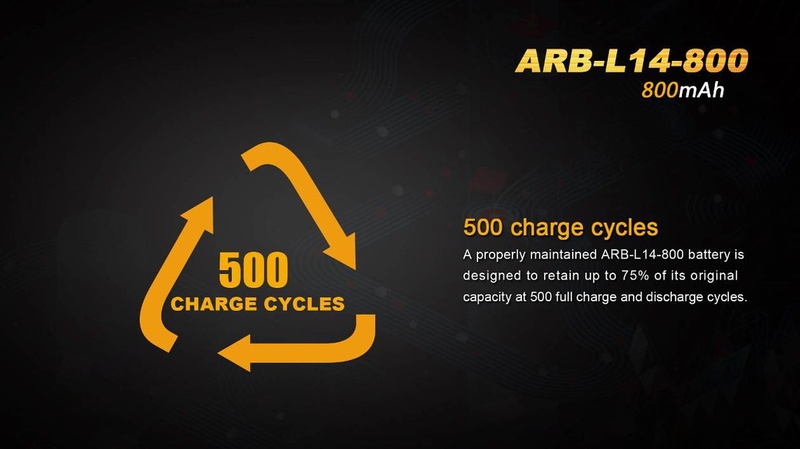 So the Fenix ARB-L14-800 can be fully covered with steel shell and eliminate potential risk of short circuit caused by collision and impact. 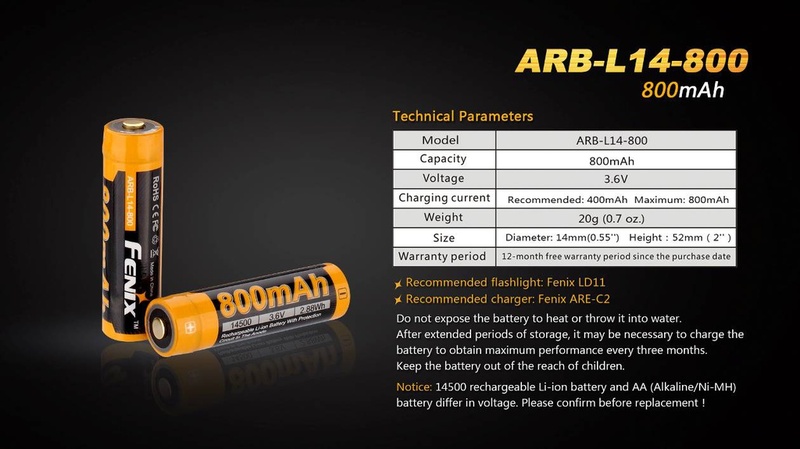 Compatible with: ARE-X1+, ARE-A2, ARE-A4.